Hashtags are one of the key element to get more reach for your messages while you are sharing them, especially for Instagram and Twitter. An average Tweet with Hashtags can bring 3X more engagement and reach. 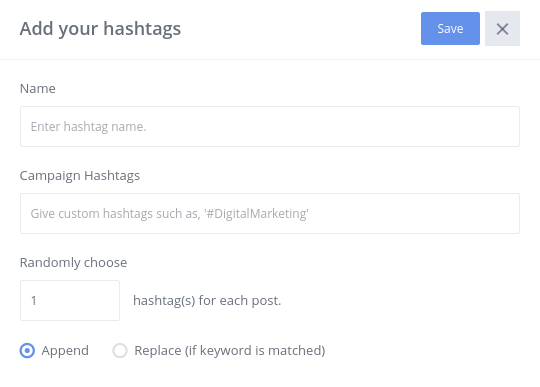 Our next feature allows you to create a Hashtags list and re-use them in your Automation Campaigns or in a Social Composer. Head over to Settings > Miscellaneous and select the Hashtags Tab. 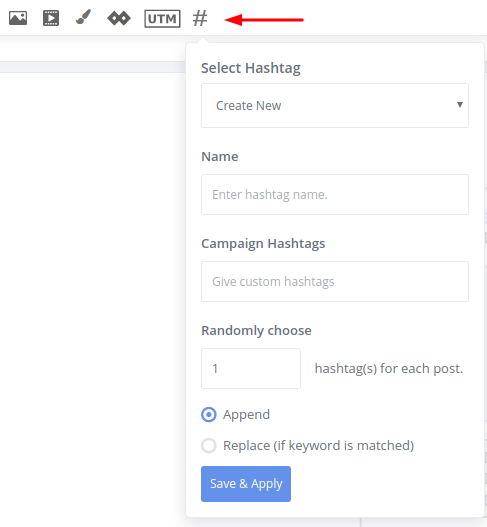 Create a new Hashtag and use it during Social Composer or within Automation Campaign.